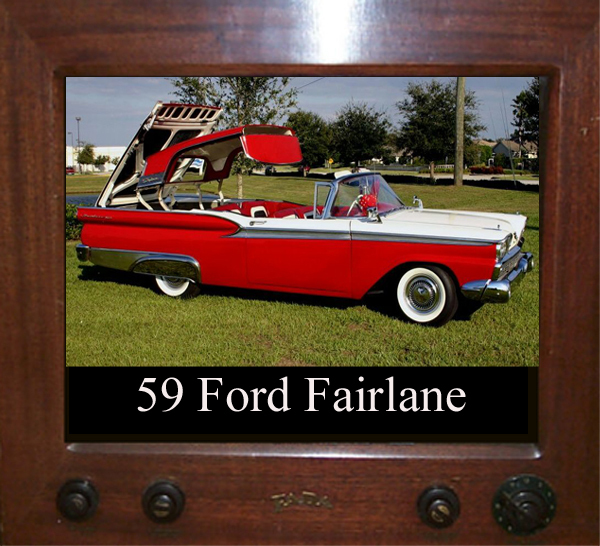 Vern Oblisk sent in this 1959 Ford Fairlane 500 Skyliner. Retractable Hard Top. 332 CI 245 hp engine, cruise o matic transmission, sun ray wheel covers, air conditioned, power steering, stainless fender skirts. 1964 was a very good year for Impalas and this one proves it. Jim Wiese's 1964 Chevy Impala was given to him by his wife for their 25th wedding anniversary. What a gal. It features a 327 cu. in. 300 hp V8. 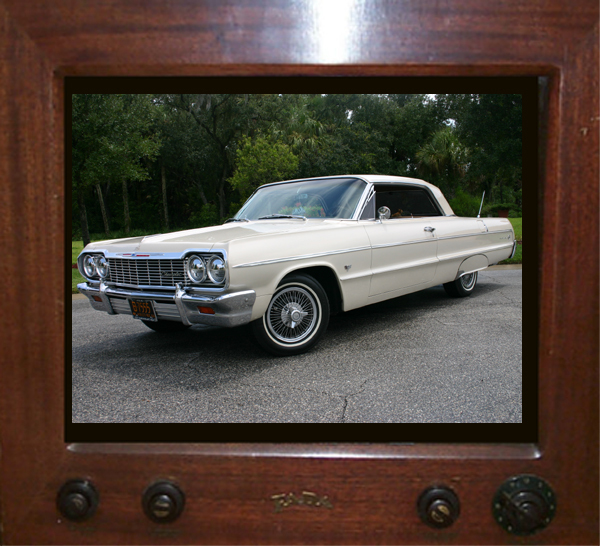 It have PS,PB,tilt column, cruise control, simulated wire wheels covers, fender skirts and twin rear antennas. What a ride.